Inspired by nearly a century of culinary craftsmanship, Le Creuset's Signature collection seamlessly blends its classic form with ergonomic and functional innovations. This grill pan is designed for draining excess drippings and features a large loop handle for easy lifting and serving. Heavyweight grill pan excels for grilling meats, seafood or vegetables and requires little oil and no seasoning ? a great choice for low-fat cooking. 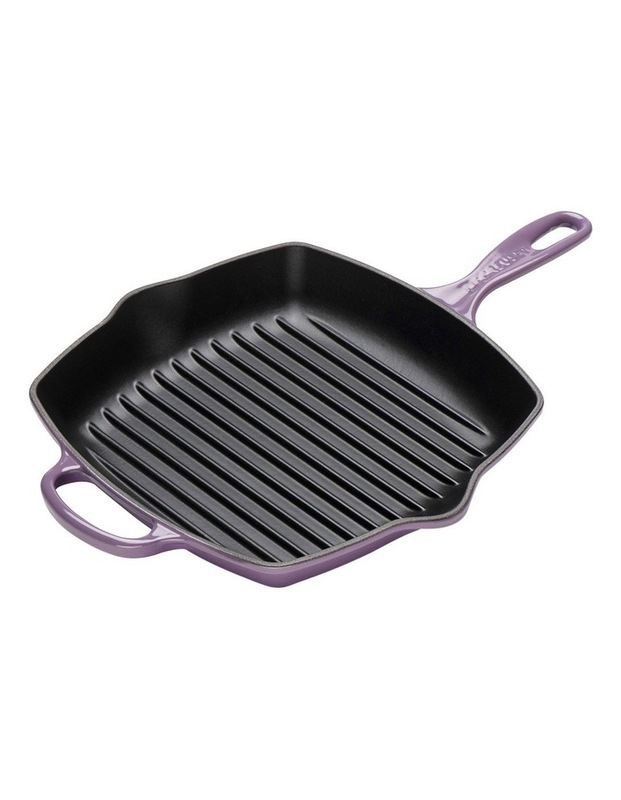 High ridges elevate foods from drippings and create grill marks.Black enamel interior requires no additional seasoning, unlike other cast-iron cookware.Made in France.